If you enjoyed this commentary, join us @KhelNow.com and you can also follow me on Facebook and Twitter. Search for Punit Tripathi and @tripathipunit1 respectively. We'll take Indian football ahead together! Good night folks. The Mariners can sleep peacefully with the performance in the first half and the Blues will be happy with the victory at home. Awaiting the next leg. MATCH OVER! BENGALURU FC get the first three points! With a well-played second half, the Albert Roca side will be happy with the points. Sanjoy Sen will rue Katsumi's injury and will be hoping his captain returns as soon as possible. The Albert Roca side should carry this momentum in the I-league and must return to more convincing ways to rise up in the table. In the AFC competition, the Blues will be hoping to continue their good form! 90+4' Sehnaj brings down Alwyn. Bengaluru win another free-kick. Cameron Watson takes it. Johnson takes a dinking shot from his left, which goes just wide! 90+1' Bengaluru FC holding onto the ball as four minutes of added time is given. Passing the ball to the goalkeeper from the middle of the pitch shows their possession-intent clearly. 90' The winning goal captain Chhetri makes way for hard-working midfielder Alwyn George! Bengaluru closing on in a famous victory. 89' Bengaluru play passes on the edge of MB box and Watson looses the ball. 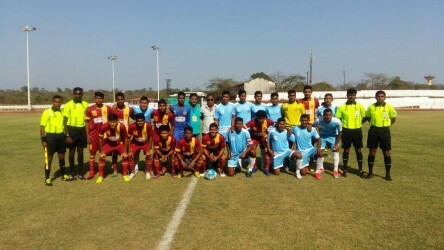 Mohun Bagan look bereft of ideas on the top of the pitch! 85' Prabir takes a shot as Sehnaj's free kick is wide off the target. No power on the shot as it goes wide. 80' Jhingan gets a goal but there's a foul! Mohun Bagan living on risky lines now. . .
79' Udanta takes a shot on goal as Anas tackles it wide for another corner. BFC attacking in full tempo now! 76' Eduardo clears as Vineeth goes on a long run on the right side of the goal in the box. Corner for BFC. Not a very convincing ball from Watson. 74' Bikramjit is being taken off the pitch by the medical team. Ever since Katsumi has gone off and Prabir has come on, the MB team hasn't attacked as well as they would've like to. 72' Bikramjit is on the field, in pain. Norde is in a bit of scuffle as Bengaluru players surround him. Khabra is on for Daniel. 68' Norde tries the spectacular but it is just over the bar. Counter from the Blues as Lyngdoh tries to head in from a Vineeth cross. 66' Another free kick opportunity for the Blues but Shilton collects it well. Norde attacks from the left and is brought down by Juanan. Wins a free kick and the defender gets a yellow. 63' Vineeth wriggles out past defenders and manages a shot, only to be blocked. 62' Juanan with a thumping header from Watson's curling ball. If the ball would've been on the target, it might've been the third for the Blues. It was slightly over. 60' Balwant goes for a long ball from Sehnaj but it has too much weight on it. Both teams need to calm down and play with the ball at their feet. 58' Curling effort, right on top of the goal! Arindam parries it away! 55' Watson and Jeje are in a scuffle in the middle of the pitch. Typical Indian club attitudes! When you lose, you fight! Guys, grow up! 54' CHHHHHHHHHHHETRRRRRRRRRRIIIIIIIIIIIIII Scores!!!! The captain has done it again!!! A low dinking free-kick on the bottom right corner and Bengaluru FC are ahead at home! Roca must be breathing a sigh of relief! 53' Free kick in a dangerous position for the home side. Lyngdoh, Chhetri and Watson all seem interested! Tough times for the Mariners.! 52' Long ball from the back from Eduardo. Sandesh heads it onto Norde and out! Parity is restored in the game. 50' GOOOOOOOOOOOOOOALLLLLLLLLLL!!! Sandesh Jhingan taps in from a corner! The Blues are back in it!!!! Cameron Watson with a delightful delivery and full credits to Vineeth for winning the corner! 48' Balwant crosses, Arindam handles. Vineeth crosses, Shilton handles. Similar action on both ends and Katsumi is brought down close to the BFC box. The best player on the pitch is writhing in pain!!!! 47' John Johnson tries a David Beckham as he takes a try from close to his box but the ball goes over the goal of Shilton Paul. WELL OVER! 46' Eugeneson Lyngdoh comes in for Lenny Rodrigues and the ref blows the whistle to re-start. 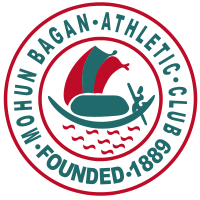 Mohun Bagan is also back, and are already looking confident and comfortable. The Blues will have a hard time as Yusa is on fire! 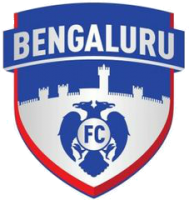 Bengaluru FC is back on the pitch as the game is set to re-begin. Roca is discussing strategies with key man Cameron Watson and is probably asking him to play long balls. We can expect that as Daniel and Udanta have fearsome speed! You can also follow us on Twitter and Facebook for the most interesting insights on Indian football. Just search Khel Now Football on Facebook and @KhelNow on Twitter to follow us! First half review: It was an even start for both teams but Bagan posed more of a cutting edge going forward as the half wore on. Yusa has been lively like he was at the weekend and the Mariners deserve their lead. BFC need a turnaround. This has been their journey throughout this season. One mistake and they've lost key games! Roca needs to do something to turn it around again! Until the half time is over, you can let us know if you like our feed and can suggest us the changes you want to see! Please guys, your review is important for us to take Indian football ahead. 45+1' Johnson and Jhingan make a mess out of a good ball as they both jump into each other. Jhingan, ultimately, gets the better touch to send it over. The referee has whistled. 44' Balwant and Yusa both dribble past and around a pool of BFC defenders only to pass it to Bikramjit, who shoots wide. 42' Udanta crosses from a good run on the right. Anas clears in from the corner. Jhingan heads it just wide off the far post. The home team is coming closer. An equalizer just before the break can turn the tables! 41' Chhetri wins a corner for the home side but a tangle between the players in the box saw a foul in favour of Mohun Bagan. 39' Bengaluru FC attacking with few and far between from the wings as Daniel and Udanta sweat it out, only to be cleaned up! Mohun Bagan, on the other hand, are smiling with Katsumi in his prime form. What a game the captain is playing! 38' Delightful chipped cross from Captain Yusa to right back Pritam Kotal as he makes a long run. Brings it down well only to be blocked by Ranjan. 36' GOOOOOOOOOOOOOOOOOOOOOOALLLLLL! CAPTAIN KATSUMI YUSA puts it in! The ever-so-reliable Sandesh Jhingan is on a yellow now and Arindam tried to parry the ball away, but it somehow sneaked into his right bottom corner!!! Such a relief for Sanjoy Sen's side. 35' SONY NORDE wins a penalty for the Mariners! What a chance! 33' Bengaluru FC look a lot more calm on the ball as Cameron Watson plays the anchor of the ship. The Blues are trying to thread a few passes together in the opposition box but Udanta is offside. 31' Cameron Watson sends a ball into the box as captain Sunil Chhetri runs into the six-yard box. Prabir Das brings him down but the ref isn't interested. 29' Jeje is pushed from the back by Salam Ranjan as Mohun Bagan try and enforce attacks. The Sanjoy Sen side are looking to play long balls. You can leave your messages at the bottom of the page. 27' This game is still a bit of a midfield scrap though there have some last-ditch clearances. 24' Substitution for Bagan Bose off Prabir on. 22' Katsumi's cross bounces of a Bagan player and out for a goal-kick. 21' So, the first 20 minutes have flown by and we await the first big chance of the game. 18' Two successive Bengaluru corners taken by Watson but both come to nothing. 16' Lenny's diagonal finds Vineeth whose cross is blocked for a corner. 14' Watson clips a ball in but overhits it and it goes out of play. 12' Juanan tries to pick out Vineeth with a ball over the top but he's offside. 10' Lenny fouls Yusa in midfield and concedes a free-kick close to the halfway line. 9' Yusa'a corner is overhit and goes out of play. 8' Yusa with a good ball in and Johnson with an important clearance. 6' Ranjan blocks Katsumi who had pounced on Arindam's loose clearance. 4' Lenny finds Udanta but he fouls and concedes a free-kick. 2' The Blues seem to have set up in a 4-2-3-1 formation with Chhetri behind Daniel. 7:00pm The teams are coming out to a wonderful atmosphere. Kickoff is next stay tuned. 6:55pm These two teams met on Saturday in the league and although there were no goals it was a tasty affair. They will be seeing lots of each other in the coming weeks. 6:50pm This is the first meeting between two Indian clubs in Asian competiton. It promises to be a cracker. 6:45pm BFC Subs: Calvin, Khabra, Nishu, Eugene, Alwyn, Mandar, Marjan. 6:30pm Hello and Welcome to the AFC Cup game between Bengaluru FC and Mohun Bagan. This is your host Srinivasan Mohan Live from Kantereeva Stadium.